I don’t know whether or not that letter would have reached Dean, or if it would have meant anything to him if it did. It’s a moot point now, of course; both he and my mother have been dead for many years. But it did teach me a couple of things: first, you should never hesitate to let someone know when they’ve made an impact in your life. The people you think are most inaccessible may well be the ones who most need to hear from you. And second, that Dean Martin was an entertainer worth appreciating. 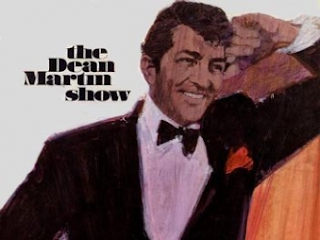 At one point in 1967, Dean Martin was the highest paid entertainer in show business. His show had just been renewed by NBC for not one but three years, at a cost (to the network) of $34 million. Added to the $5 million that Dean was already making*, the man they called the “King of Cool” was sitting pretty. *$750,000 each for three movies (not including his share of the profits), $825,000 for his records, $150,000 for three weeks at the Sands Hotel, and $2 million for the past season of the show. It hadn’t always been this way. After the tumultuous breakup of Martin and Lewis, Dean had watched as Jerry made it big with a string of solo movies. Martin’s movie career, by contrast, laid an egg - a bomb called 10,000 Bedrooms. He’d received $250,000 for that movie, but that wouldn’t do him much good if he wasn’t able to turn things around. That turning point came with a dramatic role in the movie The Young Lions, which Martin eagerly accepted even though it paid him almost $200,000 less than he’d received for 10,000 Bedrooms. 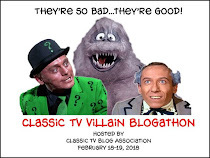 He then followed up with his own string of hits – Rio Bravo and Some Came Running – and all of a sudden Dean Martin was hot stuff again. One of the guys that Nick [Vanoff, Harbach's partner on Palace] and I wanted on the show because he belonged on the show was Dean Martin. He didn't want to do it. We asked him several times. He always said no. Finally I said to Nick, "What if we ask him twenty minutes before the taping?" All he has to do is go to the dressing room, put on his dinner jacket and look at the cue cards to see if he wants anything changed. He'll just do the show and go right back to the golf course. No rehearsal, just bang. We asked him and he said, "Yeah, I'll do that if I don't have to do any goddamn rehearsal." When NBC approached Martin for a weekly series, he exhibited the same lack of interest. Still, they pressed, so he gave them his terms. He knew they'd never accept them - he wanted a lot of money, and only wanted to show up for the actual taping - no rehearsal. They said yes anyway. He told his family, "They went for it. So now I have to do it." There's no question that Martin's laid-back attitude was one of the show's major selling points. It was Dean the way people wanted to see him - dressed in a tux with a red pocket hanky, cigarette in one hand, drink in the other, so relaxed you wondered how he could stand up. Martin didn't put on airs, and that's why people loved him. He'd enter the show running down stairs, or sliding down a pole, making it all look cool. He was just himself - to be anyone else would have required too much work. But really - you don't want to read someone writing about Dean Martin. Not when you can actually watch him, right? This skit with Jonathan Winters is one of my favorites; it's a great example of how Dean's lack of rehearsal made the show that much funnier. Of course, nobody could really prepare for Jonathan Winters. *Notice how Dean's always playing himself in these bits? He doesn't bother to change into something that might be more "suitable" for the sketch. I mean, when was the last time you sat next to someone in an airplane wearing a tux? And here's Bob Newhart, reprising one of his famous monologues with Dean as his foil. I don't know about you, but I've never had someone that well-dressed wait on me in a department store. Don't think that it was all just comedy, though: Martin had some of the business' greatest entertainers as guests. Here he is with the great Ella Fitzgerald. 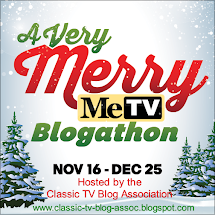 And another medley - this one with Bing Crosby. One of the highlights of each show was his banter with longtime accompanies Ken Lane. And it's also true you never knew just who might show up. The Dean Martin Show ran until 1974 - when the very format of variety shows was on life support. By then the "Celebrity Roast" feature had taken over, and it was in that format that the show would continue, as a series of specials, for another few years. I prefer to forget about those years; you don't see the real Dean there. By then his drunk act had become dominant, almost forced. The easy charm of the early days was gone, and soon Dean would be as well. The decade of the 60s, for all its fame, is difficult to pigeonhole. It began as a continuation of the 50s, in style and substance, and at the moment it seemed poised to morph into something new – modern, streamlined, space-aged – it all came to an end on a street in Dallas. By the end of the decade it had become something else entirely, a cultural French Revolution, awash in libertines and protestors and druggies, which would continue into the early part of the 70s. 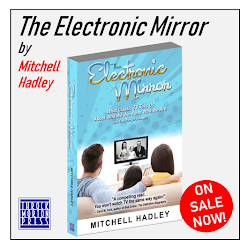 One could say, then, that the identity of the 60s rests between two bookend decades, beginning like the 50s and ending like the 70s, with perhaps two or three years in the middle which it could call its own. In that sense, you could argue that 1965 was the model year of the 60s, the year that the decade might, under other circumstances, have most resembled. The drive to the moon was in full swing, the surging tumult hadn’t yet boiled over, the war still garnered widespread support. 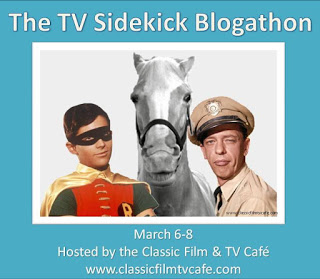 It was then that Dean Martin’s show premiered, and I would suggest it serves as the perfect bridge to connect the times. Watching the show’s progression through the years, one sees sideburns grow longer while skirts grow shorter, pop standards mixing with rock (and more than one artist painfully trying to remain relevant), and the devil-may-care attitude of the Rat Pack sliding into the hedonistic end of the decade. We can see it all, the end of one era and the beginning of another. When Martin hosted the Hollywood Palace back in June of 1964 he made a comment that, I think, illustrates his ability to live in both these eras. Introducing the Rolling Stones, a group he may or may not have ever heard of, he commented that "I've been rolled while I was stoned myself." He could just as easily have said that in 1974, and he would have been just as much at home saying it. Ah, Deano - there'll never be another one like him. 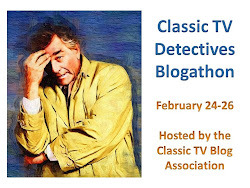 Just a reminder that today's the first day of the Classic TV Blog Association's variety show blogathon. 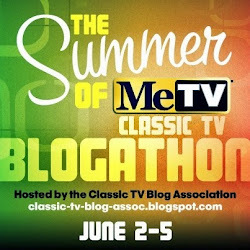 It should be a lot of fun, with some great bloggers writing about some classic shows. Here's the schedule for the rest of the week. Great post Mitchell. That Bob Newhart toupee skit is hilarious. It's funny when you see him doing it solo - even funnier when he's with Dean, talking about how he'd like a better straight man! 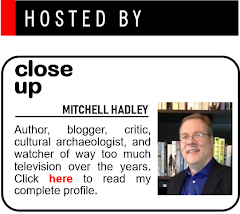 Wonderful post, Mitchell...well-written, insightful, illustrated with great clips (love the Newhart one! ), and including a nice personal touch (e.g., your mother's almost-letter). I think Dean Martin was often taken for granted as an actor, especially as a comedian (it's not easy playing the straight man). His laid-back style was perfect for a variety show. It felt like we were watching a bunch of friends coming over to Dean's house for an hour of music and gags. By the way, THE HOLLYWOOD PALACE line was classic. I agree - he was very underrated as an actor, in both comedy and drama. It was one of the old-time comedians at Kliph Nesteroff's blog (can't remember who) who said that a top-notch straight man was priceless. And you're right - nobody else could have pulled off that Hollywood Palace line in quite the same way! Really terrific post, full of historical and sociological context. 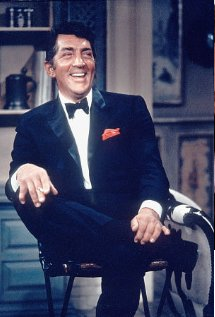 I've come to like and admire Dean Martin a lot over the years (sorry, never been a big Jerry Lewis fan). Martin was the one that even Frank Sinatra looked up to as the King of Cool. His performances in RIO BRAVO and THE YOUNG LIONS showed that he could truly act when he cared to put in the effort. But it was all right if he just played Deano, too. Even his laziest work (like in the Matt helm movies) floats along on his effortless, lackadaisical charm. Thanks also for all the great clips! Jeff, I just bought the Matt Helm collection a while ago, and thkey're as good as I'd remembered. 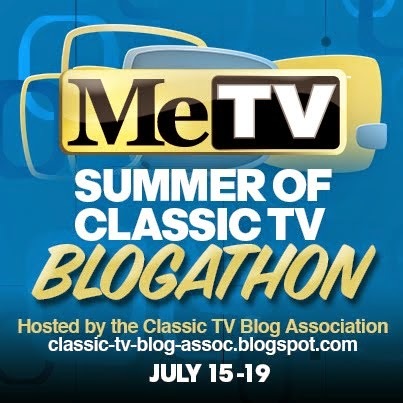 Remember the TV series from the 1970s with Tony Franciosa? Sorry - not quite the same thing! 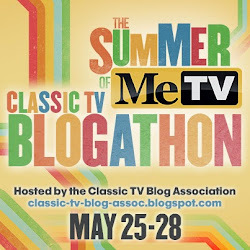 Hi - I really enjoyed reading this and watching the clips. Martin has always been my mother's favorite singer and his onscreen persona, which you describe beautifully, is also a favorite of hers. To this day, I might add. Touching mention of your mom and the letter that never was. How much of a maniac is Jonathan Winters, by the way? No one can do that these days - that on-the-spot banter. Beyond ad-libbing. Wonderful stuff. Thanks, Aurora. I've never forgotten my mom saying that - meant a lot to me. Winters is a lunatic, isn't he? Never get tired of watching him! 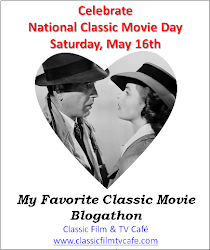 Thank you for your wonderful review and videos.. Dean Martin, did it all.. singer, film actor, television star and comedian. I have collected many of his dvd's and cds.. I absolutely love his singing voice..
My dad, met Jonathan Winters on an airplane, many years ago. Said he was very interesting and a very nice man to talk to. Thanks for reminding me of Martin's brilliance. It was fun just reliving it. Certainly nobody like him today. Mr Hadley, thanks ever so much for this energetic essay on our most beloved Dino and his totally totally swank show. Never was, never will be anyone as cool as the King of Cool....oh, to return to the days when Dino walked the earth. Know your reflections are bein' shared this very day with all the pallies gathered 'round ilovedinomartin. Dino, thanks for the very kind words! Those were the days - makes me want to don a tux just for old times' sake!